The roller shutter garage door is one of the neatest garage door solutions available with vertical operation and no internal tracking mechanism into your garage at all. 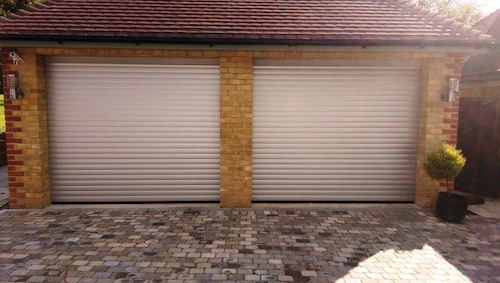 This ultimately provides you with more room on your driveway for parking and the option for additional storage space above where a standard up and over or sectional door would normally open. You can also park right up to the roller door, outside or inside and still operate it and not have issues with construction from larger, square backed 4 x 4 vehicles. With the tightly coiling curtain design, you will achieve maximum drive-through height which will accommodate high top off –road vehicles and people carriers whilst the option to install the door behind the garage opening gives you brickwork to brickwork width.